Writing the GMAT waiver MBA is one of the most important challenges you may be facing right now if you are eligible to apply for it. Before discussing the structure requirements and some writing tips, let’s talk about what a GMAT is. The Graduate Management Admission Test (GMAT) is a standard exam for business administration program applicants, and it is one important factor used by the admissions committee in selecting their students. 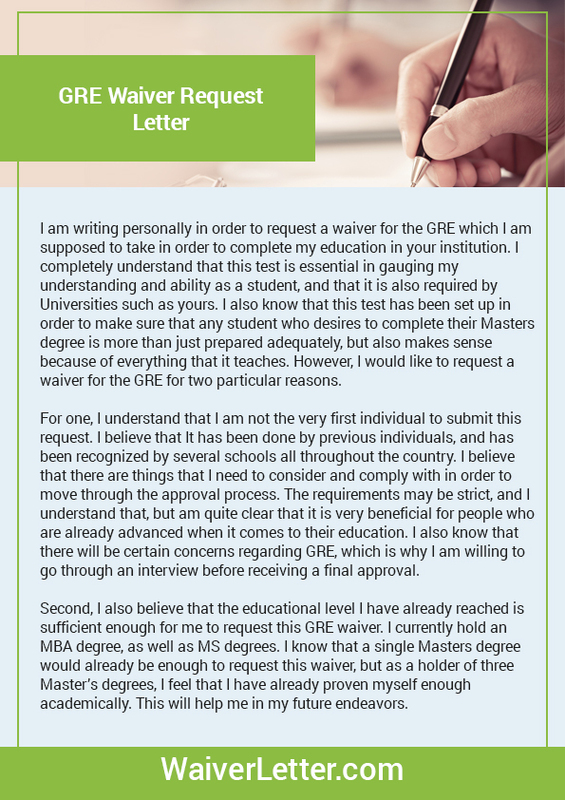 Check out the following for tips on how to create an impressive GMAT waiver and GRE waiver. The opening paragraph of the GMAT waiver MBA or refusal letter states your purpose of writing. Tell them that you are requesting a GMAT waiver, a request submitted by students in order that they can complete their application without the score. The second and third paragraph of the GMAT waiver letter sample suggests must include the important points or reasons you consider that you don’t need to submit the GMAT score to complete your application. In this section, highlight your professional and academic experience done within the last five to 10 years. They must be ones that can demonstrate that you have worked hard and prepared for this program. This section must also be able to demonstrate your quantitative and verbal abilities. In short, your academic and professional knowledge and experience must be able to prove that you already have the skills measured by the exam. 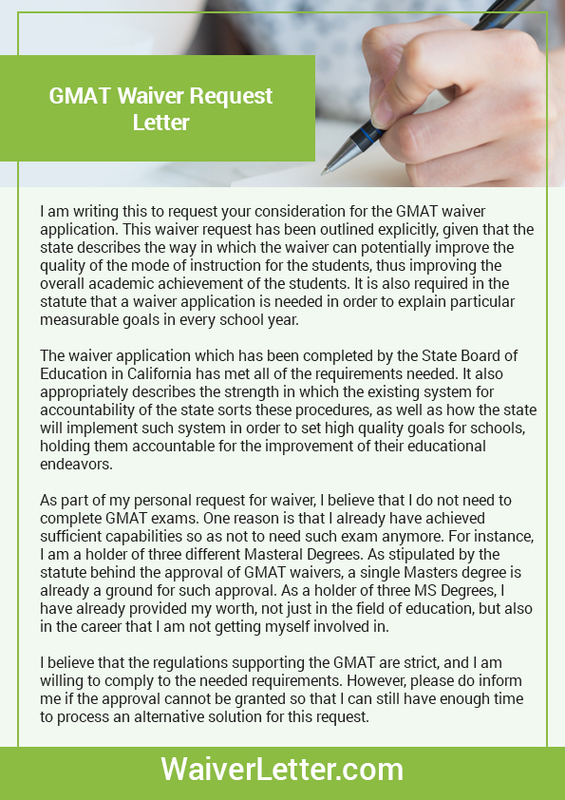 The last paragraph summarizes your appeal to request to waive GMAT. In this portion of the MBA GMAT waiver letter, tell the committee that you are going to wait for an update on whether your request is approved or not. To be sure about successful applying for MBA program, try to make your SoP revision. Before writing, it will be wise to read the requirements to apply and make sure that you are eligible to apply for a waiver. Different schools have their set of guidelines on who can qualify for this waiver. If you are qualified, brainstorm what to write and include in the letter. Choose from your most related and significant academic and professional experience to demonstrate your eligibility for the waiver. Outline before letter for MBA programs with GMAT waivers so that you will know how to organize it and that you can ensure you are following the structure as set by the school. Read other examples from other students who have applied for the same so that you can get an idea or inspiration on what to and how to write waiver letter. Keep a professional tone in your letter and do not sound arrogant in the letter. 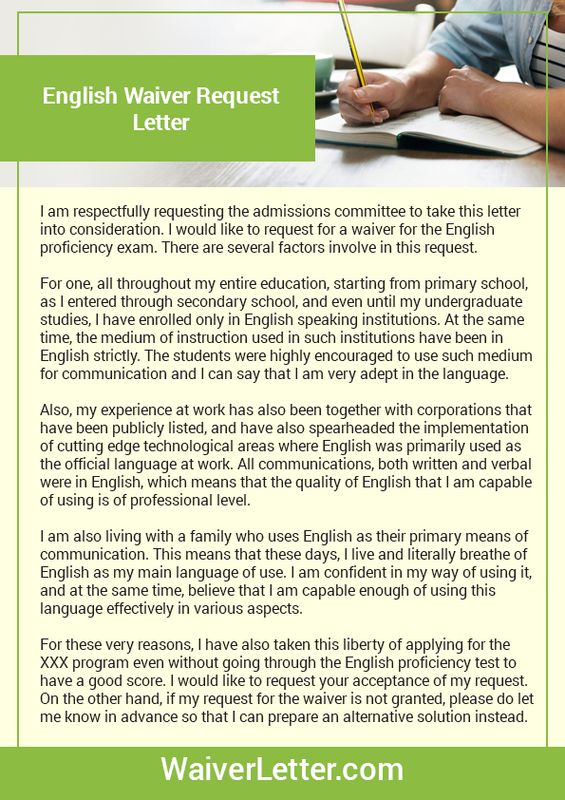 Make sure to choose easy to understand the language when writing your letter. Proofread and edit the letter before submitting it so that you can be sure that it does not contain any grammar and spelling errors. Follow this guide on how to write a letter for MBA programs with GMAT waivers and increase your chances to succeed. Finally, be able to spend enough time in writing and editing your letter and be ready to revise your work if needed for the best results. Good luck with your GMAT waiver MBA!